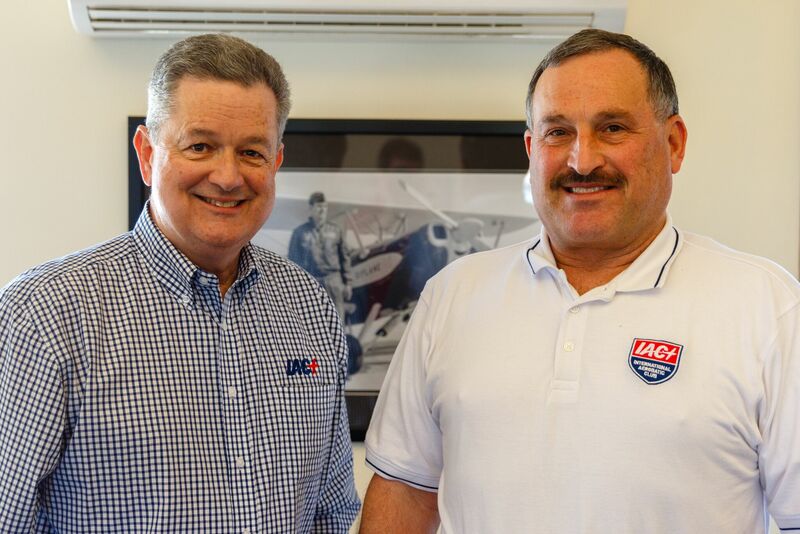 IAC president Mike Heuer, IAC 4, submitted his resignation at the IAC board of directors meeting on March 17, 2018, as previously planned. The board appointed Robert Armstrong, IAC 6712, as the new IAC president for the remainder of Mike’s term, which runs until July 2018. Robert was elected as the IAC’s vice president in July 2017. The board will consider and appoint a replacement to fill that officer position in early April. Robert has been a member of the IAC for the past 37 years, has previously served as a director from 2006 to 2012, and was inducted into the International Aerobatic Hall of Fame in 2016. He has built and flown many different aerobatic aircraft, and rose through the skill categories to become a member of the U.S. Unlimited Aerobatic Team from 1992-1996 and 2000-2013. He currently flies a CAP 231EX in the Unlimited category.